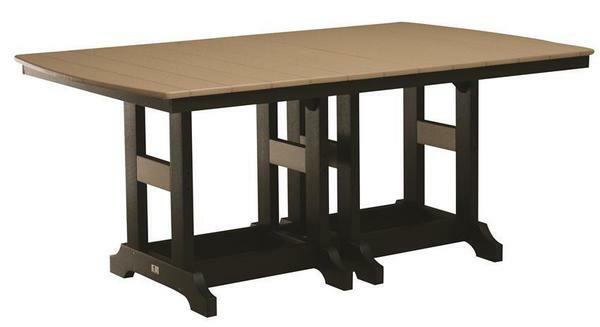 The Berlin Gardens 44" x 72" Poly Counter Height Pub Table is sure to be the showcase piece to your outdoor barbecues and events. With 96" in length, the possibilities are endless in what you can accomplish using this table. Choose from our wide variety of poly color selection to create the perfect match to the rest of your patio decor. Pair the table with our Poly Swivel Rocker (Counter Height) and optional Sunbrella cushions and throw pillows, to create your own unique outdoor oasis that will complete the outdoor decor!